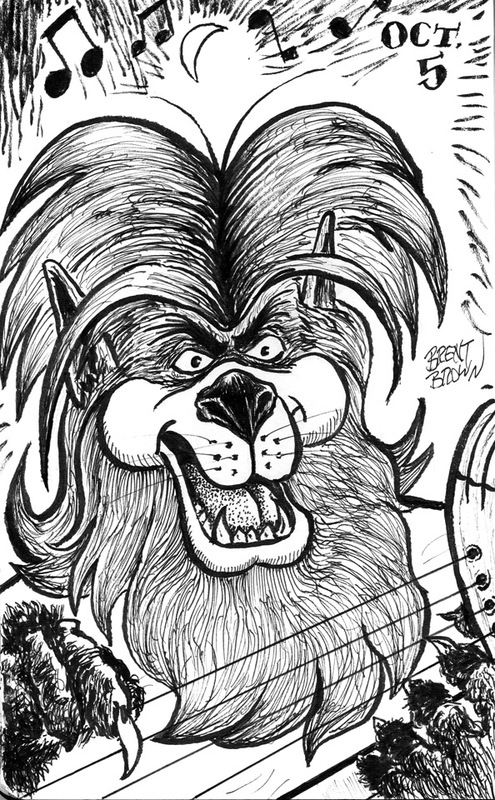 What could be more fun than the werewolf from my childhood Saturday Morning fave cartoon, The Groovie Goolies: WOLFIE! Here is is inked in the sketchbook and scanned in. This entry was posted in Drawlloween and tagged drawlloween, Groovie Goolies, werewolf, wolf, wolf man by bre bro. Bookmark the permalink.